Indian talent is as omnipresent in the world’s most hardest and prestigious math competition for high school students as the Spelling Bee. 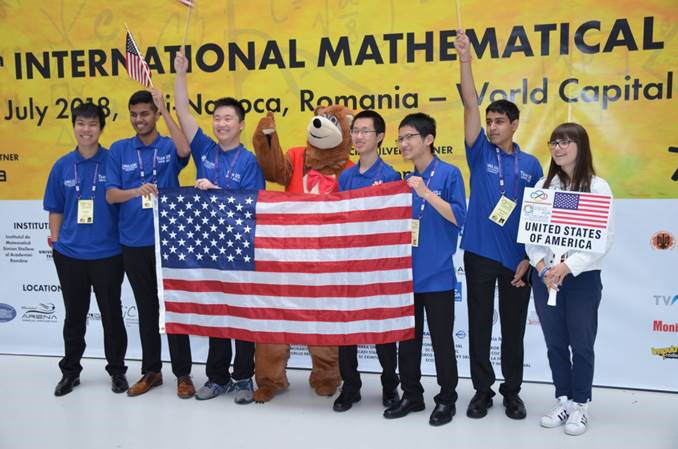 The US team which won the first place at the 59th International Mathematical Olympiad in Romania. Indian faces in the US math team are as ubiquitous as Spelling Bee champions. High school math whiz Mihir Ananad Singhal was in the US team that just won the prestigious International Math Olympiad — said to be the most hardest and prestigious math problem-solving competition for high school students in the world. What is making newspaper headlines is that the United States for the third time in four years has won the 2018 International Mathematical Olympiad held in Cluj-Napoca, Romania. This stunning math prowess is openly in variance with general perceptions that Americans are spectacularly bad at answering even the most basic math questions. 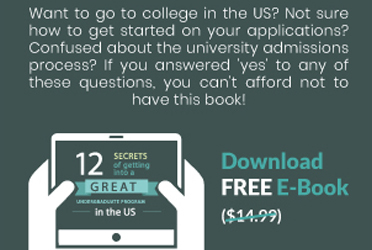 “University professors often cannot solve more than one or two of the six problems on the exam. Since 1978, Math Olympiad gold medalists have made up more than a third of the winners of the Fields Medal, the Nobel Prize equivalent for mathematics,” reported “The Washington Post” while touting the big US victory. The team that won in the grueling 10-day Romania competition was trained by head coach Po-Shen Loh, an associate professor of mathematics at Carnegie Mellon University in Pennsylvania. Loh thinks the winning streak speaks volumes about Americans and their math ability. "A high-profile competition like the International Math Olympiad gives us the opportunity to bring math into the common consciousness," said Loh, who competed in the 1999 IMO, which also was held in Romania. From the US team, James Lin from Phillips Exeter Academy received one of two perfect scores at the competition. The other student to ace the test was Britain’s Agnijo Banerjee, a gifted math prodigy from Grove Academy in Dundee in Scotland. The 17-year-old doesn’t play computer games, although he has programmed a few. Banerjee has been fast-tracked through school, and is headed for Cambridge University. He has just teamed up with his maths tutor to publish his first book, Weird Maths. In addition to securing first place as a team and Lin earning a perfect score, each of the team members medaled in this year's competition. Mihir Anand Singhal, Andrew Gu, Vincent Huang, and Michael Ren all won gold medals. Seventeen-year-old Adam Ardeishar, who studies in Thomas Jefferson High School for Science and Technology in Virginia, received a silver medal. Singhal,17, is a well-liked senior at Palo Alto High School, in California. His parents encouraged him to compete in math competitions after they realized that hard sums were their son’s favorite thing in the world. Singhal showed his problem-solving genius by clinching a 99.66% ranking. The first International Mathematical Olympiad was held in 1959 in Romania, with seven countries participating. It has gradually expanded to over 100 countries from five continents. “The Washington Post” acknowledged that in this time of “charged debates about immigration,” it is worth noting that many of the team members are second or third-generation immigrants. Indian immigrants created nearly 10% of the 4,000 firms launched from 1995 to 2000 in Silicon Valley, according to University of California Berkeley Professor AnnaLee Saxenian, who has documented her findings in her book, The New Argonauts. Stanford-educated Google CEO Sundar Pichai is the latest Indian-born executive to reach the top ranks in corporate America, where he joins Microsoft CEO Satya Nadella, PepsiCo CEO Indra Nooyi, MasterCard CEO Ajay Banga, Nokia CEO Rajeev Suri, SoftBank CEO Nikesh Arora, SanDisk CEO Sanjay Mehrotra and Adobe Systems CEO Shantanu Narayen, among others.